Budget Pet Care is marketing platform not engaged in conducting sales, but rather engages in the business of facilitating sales transactions on behalf of authorized affiliates internationally. The following terms and conditions (the "Terms of Sale") related to the services and sales as between the budget pet care authorized affiliates “Affiliates” and you (the "Customer") of the products and services (the "Products") offered for sale by the Affiliates. By accepting delivery of the Products described on a purchase order (an "Order"), the Customer agrees to be bound by and accepts the Terms of Sale. 1. Power of Attorney. The Customer shall authorize and appoint the Affiliates as its attorney and agent, to take all steps, sign all documents and to act on its behalf as if the Customer was personally present and acting for itself for the limited purposes of (a) obtaining legally valid product; and (b) packaging the Customer's products and delivering them to the Customer. The Customer's authorization shall include, but not be limited to, the collection of personal and pet’s health information and disclosure such information to budget pet care and the Affiliates. The Customer's authorization may be revoked at any time and shall be continued until the Customer revokes it. 2. Orders; Prices; Payment Terms; Interest. Budget pet care may act on behalf of the Affiliates to collect order information and/or payment. Orders are not binding upon Budget pet care until accepted in writing. The prices for the Products shall be as specified by the Affiliates and as set forth in budget pet care's website as at the time of acceptance of an order by budget pet care Prices for Products shall be subject to change without further notice. Credit terms are at the discretion and as specified by the Affiliates and implemented by budget pet care, and unless otherwise specified in writing, payment must be received by budget pet care/ Affiliates prior to acceptance of an order. Payment for the Order may be made by a credit card. 3. Shipping Charges; Taxes. In some cases, Budget Pet Care may have been retained to prepare and issue invoices on behalf of the Affiliates. In such cases, separate charges for shipping and handling may be shown on the invoice(s). The Customer is responsible for services tax, sales and or import duties and all other taxes associated with the Order, however designated, as required by the jurisdiction of the sale. If applicable, a separate charge for taxes will be shown on invoice. 4. Shipping. Delivery of the Product to the Customer takes place when the product leaves the Affiliates. After delivery, the Affiliates and budget pet care with regards to product purchase is over. Normally, the Customer's product shipment takes an average of 14 to 21 days to arrive. 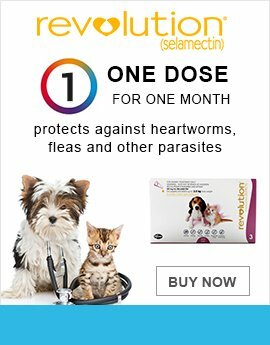 In the event that the Customer's shipment is delayed past 28 days, and upon notice from the Customer, budget pet care will arrange with the Affiliates to replace the delayed shipment, and the affiliates will re-deliver and re-ship the product to the Customer. Budget pet care is not liable for any damage to the Customer due to delay in shipment or failure of the product to arrive within 28 days. 5. Warranties. THE MANUFACTURER OF EACH PRODUCT IS SOLELY RESPONSIBLE FOR ANY WARRANTY ASSOCIATED WITH A PRODUCT. TO THE MAXIMUM EXTENT PERMITTED BY LAW, BUDGET PET CARE DISCLAIMS ANY WARRANTIES AND CONDITIONS, EXPRESS OR IMPLIED, IN RESPECT OF THE PRODUCTS AND SERVICES CONTEMPLATED BY THESE TERMS OF SALE, INCLUDING, WITHOUT LIMITATION, IMPLIED WARRANTIES AND CONDITIONS OF MERCHANTABILITY AND FITNESS FOR A PARTICULAR PURPOSE. RESPONSIBILITY FOR CLAIMS IN RESPECT OF THE PRODUCTS IS LIMITED TO REPLACEMENT OF THE PRODUCT. 7. Products and Services. Budget pet care may revise and discontinue the Products and Services offered by Affiliates displayed on the website at any time without prior notice. 8. Exports. It is important to note that not all of the products, services and Information are available in all states and countries, it is customers responsibility to check and place order after checking their local laws with regards to importation of products on this site. 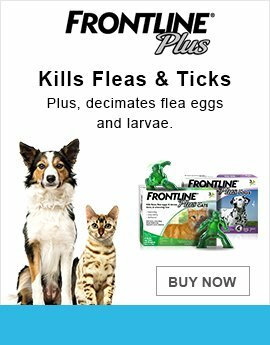 Please note that the products on budget pet care are pesticides or otc which do not require any prescription. By placing an Order for product or services, the Customer represents to budget pet care and the affiliates that sale, delivery and shipment of the Products will not violate any import, export or other law or regulation in the Customer's home jurisdiction. In case by error of judgement you ordered something from Budget pet care which violates your jurisdictions local tax/import/sales law etc or you were made aware of such laws, we may help you return for refund/dispose off the product and refund so that you don't violate the law. We do not endorse illegal importation/sale of our products and service any jurisdiction. 9. Entire Agreement. The Customer agrees that these Terms of Sale and any document incorporated by reference or referred to herein constitute the entire agreement between the Customer, budget pet care and the Affiliates pertaining to the subject-matter of these Terms of Sale, and supersedes, terminates and otherwise renders null and void any and all prior agreements, understandings, negotiations, contracts, proposals or requests for proposals, whether written or oral, between the Customer, budget pet care and the Affiliate. In the event of a conflict between these Terms of Sale and any of the documents incorporated by reference or referred to herein, these Terms of Sale shall govern. 10. Severability. The invalidity or unenforceability of any provision of these Terms of Sale shall not affect the validity or enforceability of any other provision hereof and any such invalid or unenforceable provision shall be deemed to be severable. 11. Headings. The section headings used herein are for convenience of reference only and do not form a part of these Terms of Sale, and no construction or inference shall be derived therefrom. 12. Force Majeure. Budget pet care shall not be liable for any delay or failure in performance caused by circumstances beyond its reasonable control, including, without limitation, delays due to backorders of requested products, mail delays, customs delays, lost shipments. Budget pet care shall not be responsible to notify the Customer in the event of such delays. The Customer shall be solely responsible to make other arrangements to purchase alternative products and any costs incurred in connection with such purchases. 13. Responsibility. The Customer understands the Customer is purchasing products that have been approved for sale in the jurisdiction of the Affiliates. Title to the Customer's products passes from the Affiliates to the Customer when the Customer's order leave the Affiliates. All agreements reached or contracts formed with the Affiliates shall be deemed to have been made in the jurisdiction where the sale takes place and the laws of that jurisdiction shall have sole and exclusive jurisdiction over any dispute arising between the Customer and the Affiliates. 14. Knowledge and Consent. By placing an order with budget pet care, the Customer has read and understands the terms and conditions as set out herein. The Customer represents that he/she consents to the Terms of Sale, and does so with full knowledge and without undue influence or duress. 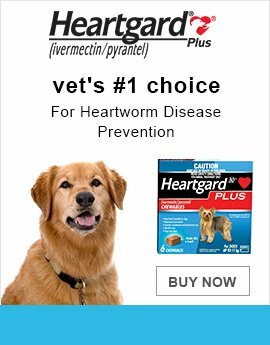 The Customer acknowledges that the Terms of Sale are readily accessible on a 24-hour basis from budget pet care website. The Customer acknowledges having had every opportunity to obtain independent legal advice with respect to the Terms of Sale.